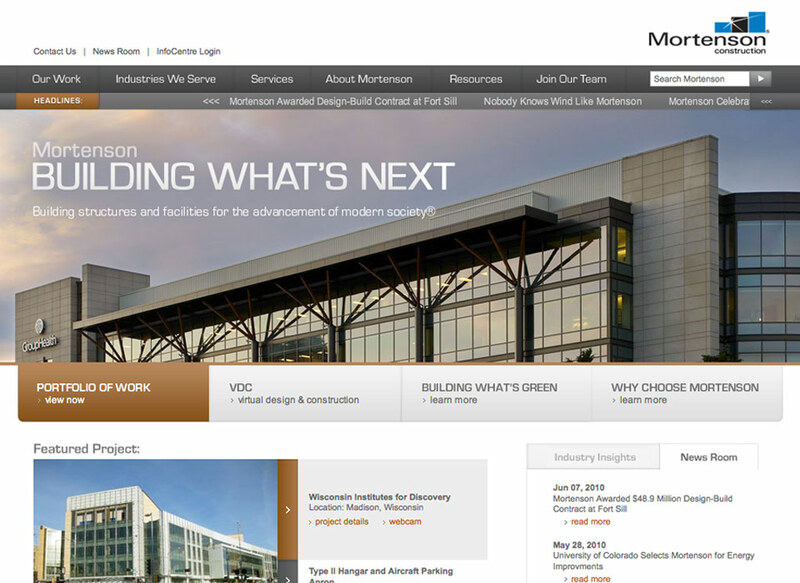 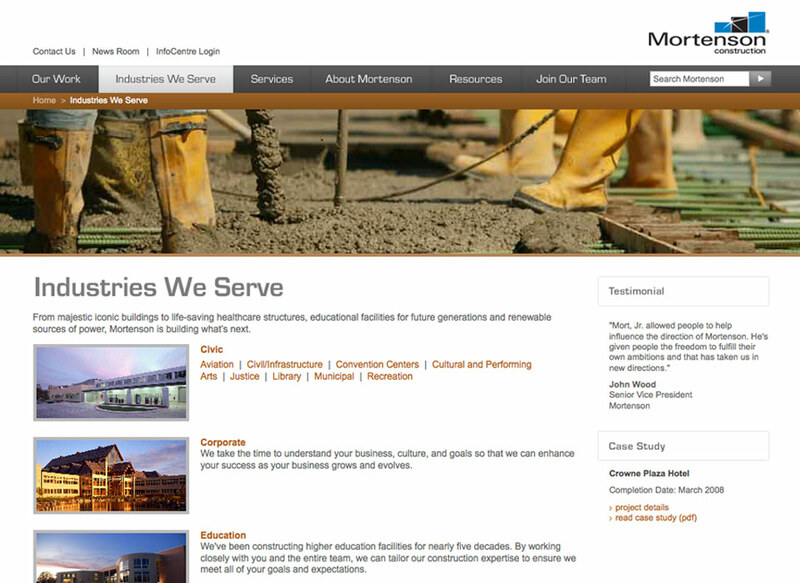 Mortenson Construction is one of the largest construction companies in the United States. 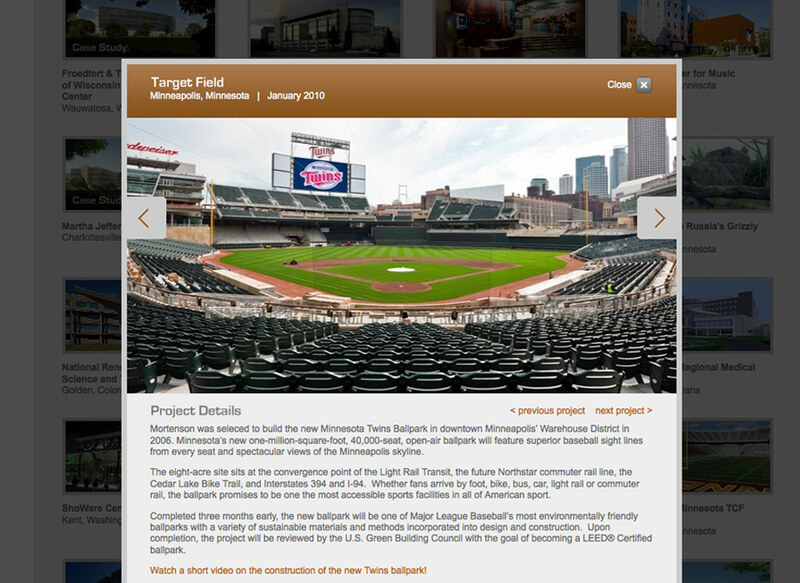 Its work includes high profile projects such as the Minnesota Twins’ Target Field, Harley-Davidson Museum, Walt Disney Concert Hall and the Shanghai World Expo Performing Art Center. 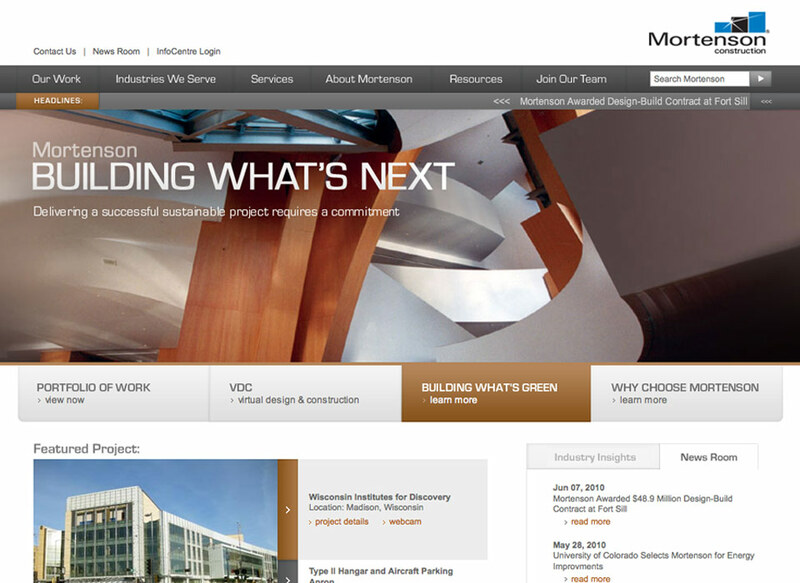 Using Mortenson’s philosophy, we took art and science to the next level and crafted a website that presents its world-class work in an intelligent and sophisticated way. 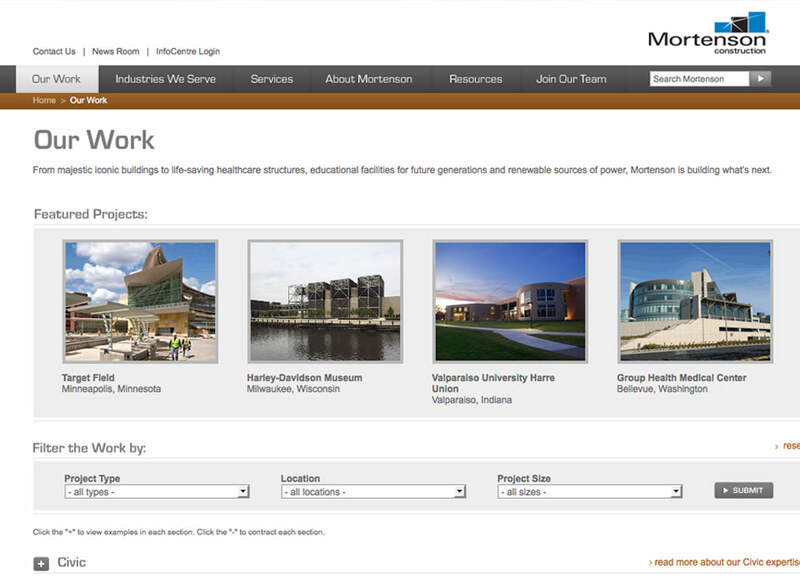 Users who visit the website are able to sift through numerous case studies for projects from all over the country. 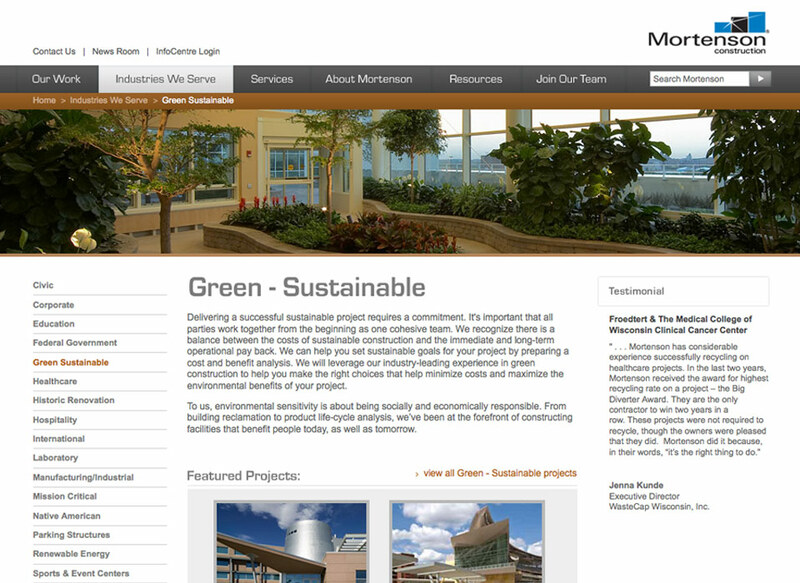 A testimonials section is loaded with positive comments from satisfied customers. 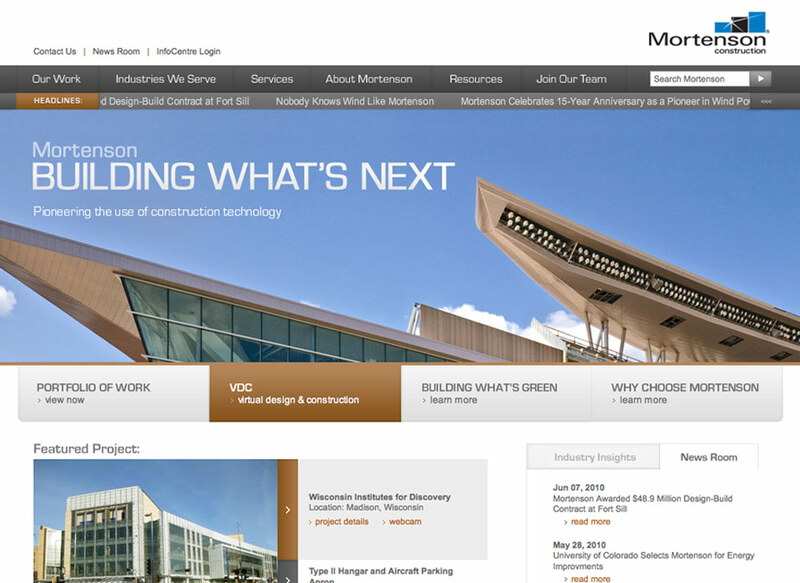 A large portfolio section featured project summaries and beautiful photographs of completed projects across a variety of industries.